Bro. S. Eugene Herritt is a Past Master of Cumberland Valley Lodge No. 315 and served as District Deputy Grand Master for District 3, 2006-2011; as a Representative in Grand Lodge, 1980-2005; and as a member of the Committee on Academy of Masonic Knowledge, 2007-present. He has been a member of the Masonic Village’s Board of Directors, 2011-present; a Trustee of the Masonic Charities Fund and Director of the Masonic Library and Museum. He is a Past Lodge Chairman for the Masonic Culture Committee. Brother Gene is a graduate of Montoursville High School. He also graduated from Clarion University and from Shippensburg University with a bachelor’s and a master’s degree in education, respectively, while obtaining a Reading Specialist Certificate. He taught reading in Lewistown and Shippensburg Public Schools for 11 years before retiring to pursue careers in business. He has taught as an adjunct professor of marketing at Shippensburg University’s John L. Grove School of Business. He has served as a successful sales representative for 3M Co., a sales executive with The Beistle Co., and, most recently, a sales executive with Fortney Packages. He has served in leadership capacities on several community boards including the Cumberland County Chapter of the American Cancer Society, the Shippensburg Public Library, the Cumberland Valley School of Music and the Chambersburg Community Theatre. Brother Gene served as President of the Shippensburg University Alumni Association and as a member of the Council of Trustees of Shippensburg University. He currently serves as a member of the Board of Directors of Adams Electric Cooperative and the Pennsylvania Rural Electric Association, having served as Chairman of both organizations. He was recently elected to the Board of Directors of the National Rural Electric Association. Brother Gene and his wife, Sally, live in Shippensburg and have a daughter, Andrea, and a grandson, Lyric. Sally is retired as the Executive Director of the Chambersburg Community Theatre. They attend First Lutheran Church in Chambersburg. 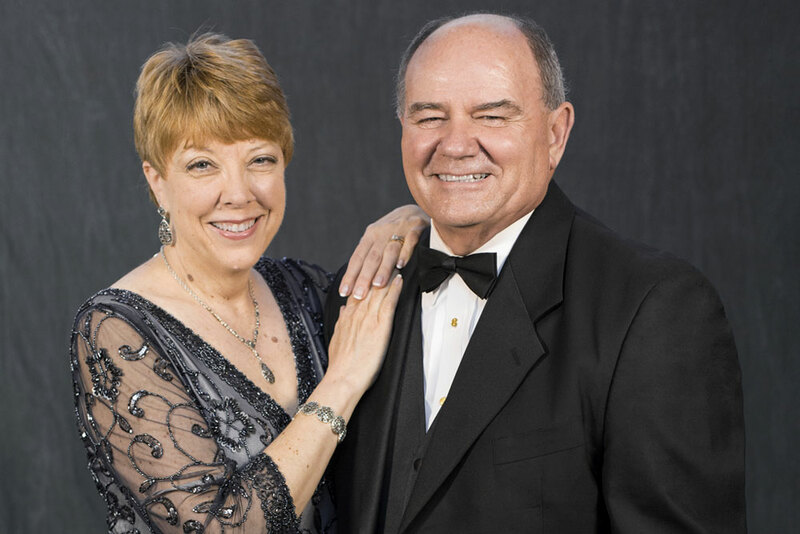 Both enjoy traveling, and while Brother Gene enjoys reading, Sally enjoys gardening and cooking. Brother S. Eugene Herritt is a Past Master of Cumberland Valley Lodge No. 315. Shippensburg, and served as District Deputy Grand Master for District 3, 2006-2011; as a Representative in Grand Lodge, 1980-2005; and as a member of the Committee on Academy of Masonic Knowledge, 2007-2017. He has served on the Pennsylvania Masonic Youth Foundation Board of Directors. He has been a member of the Masonic Villages Board of Directors since 2011, a Trustee of the Masonic Charities Fund and Director of the Masonic Library and Museum. He is a Past Lodge Chairman for the Masonic Culture Committee. Brother Gene is a member of George Washington Royal Arch Chapter No. 176, George Washington Council No. 66 and Continental Commandery No. 56. He is a Past Sovereign Prince of Harrisburg Council; Princes of Jerusalem of the Scottish Rite Valley of Harrisburg; a Past President of the Shippensburg Scottish Rite Club; and is a member of Zembo Shrine. He also belongs to the York Conclave, Knights of the Red Cross of Constantine; First Capital No. 156, York Rite College; Franklin County High Twelve Club No. 726; and Valley Forest No. 145, Tall Cedars of Lebanon. He served as Sovereign Master of Constans Council No. 239, Allied Masonic Degrees in 2013; is a member of the Worshipful Society of Freemasons, Rough Masons, Wallers, Slaters, Paviors, Plasterers and Bricklayers, Allentown; and served as Worshipful Master of the Pennsylvania Lodge of Research in 2011. He is a member of Rosicrucians; Martha Custis Chapter No. 342, Order of Eastern Star; and Abroath Lodge of St. Andrew. Brother Gene is an Honorary Member of the Supreme Council, 33°; was awarded the DeMolay Legion of Honor; and is a recipient of the Purple Cross. In addition to the relationships that develop between Entered Apprentice and Fellowcraft Masons and their mentors as they proceed through the degrees, the new Online Mentoring Program offers continuous opportunities for engagement and development for new members following initiation. Available through the Grand Lodge education portal, the program connects Brothers across the Commonwealth who have a deep understanding of various Masonic topics with Brothers who have a thirst for Masonic education. 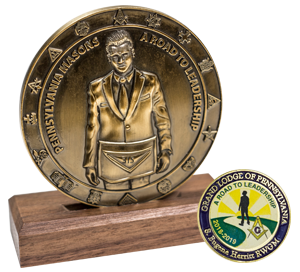 Entered Apprentice Masons who are members of Pennsylvania Lodges, and who have been entered into the Grand Lodge database by their Lodge Secretary, will be able to sign on to the Grand Lodge education system and register for the new mentoring program. Mentor topics may include, but are not limited to, symbolism, philosophy and Masonic history. This new system should not supplant the mentoring work done by local Lodges, including instructing new members in the work of the Fraternity. Men who would like to volunteer to serve as mentors may do so through the same system. Each volunteer will be screened before being confirmed as a mentor. Once confirmed, Brothers seeking mentorship will be able to reach out to a registered mentor to begin a dialogue and establish a relationship. The direction and information shared during the mentoring relationship is up to the Brothers involved. Mentoring can occur in person, over the telephone or through digital means. To get started, log on to the Grand Lodge education portal at www.education.pagrandlodge.org and create an account if you don’t have one already. You’ll need to know your member ID number to create an account – if you don’t, just reach out to your Lodge Secretary. Take the time to complete your profile and review the education materials that are present on the portal. Then, utilize the mentoring system to connect with a mentor or sign up to act as a mentor for others!